Don’t you love finding a new book series? Sometimes you end up loving it and other times, not so much. 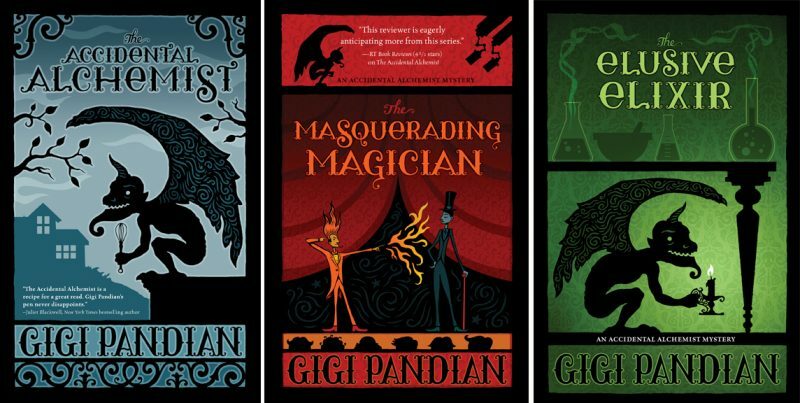 The Accidental Alchemist series by Gigi Pandian is absolutely one you’ll end up loving! I have read a few of Gigi Pandian’s Jaya Jones books and have really enjoyed them. When I saw The Alchemist’s Illusion and Gigi Pandian’s name on NetGalley, I requested it right away! I started reading it, but then I stopped because I wanted to start with book one. I definitely recommend starting with book one, or you’ll be lost! Unpacking her belongings in her new hometown of Portland, Oregon, herbalist and reformed alchemist Zoe Faust can’t help but notice she’s picked up a stowaway. Dorian Robert-Houdin is a living, breathing three-and-half-foot gargoyle—not to mention a master of French cuisine—and he needs Zoe’s expertise to decipher a centuries-old text. Zoe, who’s trying to put her old life behind her, isn’t so sure she wants to reopen her alchemical past…until the dead man on her porch leaves her no choice. Look! You can get The Accidental Alchemist for 99 cents! Believe me, you won’t regret it. I loved “meeting” Zoe Faust and her stowaway Dorian Robert-Houdin (a living gargoyle!) in this first book! All of the characters in this series are so much fun and so well-written! I love Dorian’s personality the most, I think. He is bossy and a bit of a know it all; oh…and, by the way, he’s a chef! When he finds out that Zoe is vegan, he’s not too thrilled. But he takes on the challenge and comes up with amazing dishes, some of which are included at the back of the book! It cracks me up that the book is set in Portland, Oregon. If you’re a Grimm fan, you know what I mean! All of the bizarre characters/monsters show up in Portland at one time or another. My daughter and I laugh so hard if we see any show or movie that involve crazy things happening in Portland! The alchemy aspect in this book is so interesting, and I love how Gigi uses real characters and events from history, even though she fictionalizes them. She makes me want to get out and garden too! I may have to start some gardening in pots because I don’t have a yard. You’ve got to read these books in order because there are elements from them that you won’t understand if you don’t. For 99 cents, you can’t go wrong. I definitely recommend it! Deciphering an ancient alchemy book is more difficult than Zoe Faust bargained for. She’d much rather be gardening and exploring her new hometown of Portland, Oregon—but time is running out for living gargoyle Dorian Robert-Houdin. If Zoe isn’t able to unlock an unusual alchemy book’s secrets soon, the French gargoyle will remain awake but trapped in stone forever. When Zoe gives herself a rare night out to attend a classic magic show, she realizes the stage magicians are much more than they seem. A murder at the theater leads back to a string of unsolved robberies and murders in Portland’s past, and a mystery far more personal than Zoe and Dorian ever imagined. The Masquerading Magician picks up where The Accidental Alchemist left off. I don’t want to say too much because I don’t want to ruin the fun for you! I will say that the book that Zoe and Dorian have to figure out is very dangerous which puts them in danger. Other people are after the book too! This book kept me guessing! I won’t say anything else except to again remind you to read this series! From Portland to Paris, Zoe searches for the hidden knowledge she needs, but a cold case that harkens back to 1942 throws her off course. With an ailing friend desperately trying to discover his own Elixir of Life and a new romantic interest offering the first chance at love she’s had in nearly a century, Zoe is torn between a dangerous form of alchemy and her desire for a normal life. This one starts off with Zoe in Paris where she is recognized! Or is she? You’ll have to see! She has to get back to the states quickly because she thinks she will be arrested if she sticks around. She still isn’t able to find what she’s been looking for to help her friend, and in her search she might have accidentally tipped off the “bad guys.” Like the first two books, The Elusive Elixir is so much fun while being exciting and suspenseful. The same characters appear in the book and the added ones are just as well written. The way Gigi Pandian writes makes you feel as if you are actually in the book. The descriptions make everything feel very real! Take my advice and read these books! 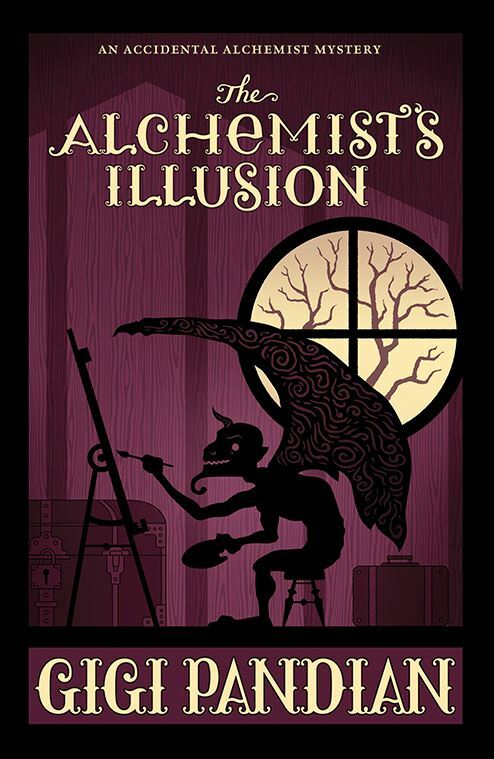 The Alchemist’s Illusion is the newest book in The Accidental Alchemist Series. Centuries-old alchemist Zoe Faust is tired of running from her past. She’s finally got her life on track in Portland, Oregon, gardening and cooking in her fixer-upper house with her mischievous best friend, Dorian the gargoyle chef. It seems like the perfect life for Zoe, until she discovers that her old mentor Nicolas Flamel, who she thought had abandoned her, has been imprisoned. My excitement at finding The Alchemist’s Illusion is very justified by this book! Each book in this series just gets better and better though I’m not sure how since I love them all! Life seems settled for Zoe. One of the problems she’s been dealing with since the first book is solved, her house doesn’t have a hole in the roof anymore, and life seems good. And it is good until Zoe is accused of murder! Well, she’s not arrested, but she sure is shocked when a woman walking out of an art gallery points at Zoe and says that Zoe was the one who killed the victim. Of course, Zoe gets involved in solving the case…with the help of her friends. She has a particular interest in it after all. The painting of Nicholas Flamel! Yes, that Nicholas Flamel. He and his wife were very close to Zoe. I won’t say any more about that because it would spoil some of the earlier stuff too! You know it’s hard to do sequel reviews sometimes! The Alchemist’s Illusion was so good, and I love that Zoe may have made a new friend in this book. I think she (or he…not gonna tell you) will make a nice addition to the cast of characters. The former characters are still in this book, and they are still great! I love the humor that weaves its way through this series. I definitely recommend this fourth book as well as the rest! Now go get book one and get reading! USA Today bestselling author Gigi Pandian is the child of cultural anthropologists from New Mexico and the southern tip of India. She spent her childhood being dragged around the world and now lives in the San Francisco Bay Area. 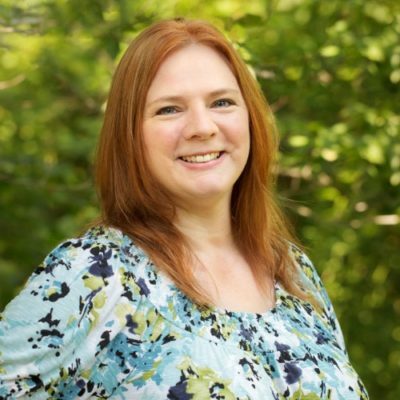 Gigi writes the Jaya Jones Treasure Hunt mysteries, the Accidental Alchemist mysteries, and locked-room mystery short stories. Gigi’s debut novel, Artifact, was awarded a Malice Domestic Grant and named a “Best of 2012” debut by Suspense Magazine. Her fiction has been awarded the Lefty Award and short-listed for Macavity and Agatha Awards. Sign up for her email newsletter at www.gigipandian.com/newsletter.